Attorney Rankings is a new, web-based marketing agency that was designed to help legal professionals promote their skills and services using the power of the Internet. Attorneys are known for being engaged with the realities of the legal profession, which is why the promotion of their services is often neglected, particularly when it comes to modern, web-based marketing. With the help of the unique services offered by Attorney Rankings, law firms can implement and improve the methods used to reach new clients. We know the ins and outs of everything it takes to get a law firm more visibility. 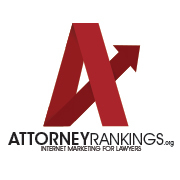 Attorney Rankings is a full-service agency providing Internet marketing services for attorneys and law firms. The agency, which was founded by Internet marketing expert Chris Dreyer, works directly with firms of all sizes to craft comprehensive marketing plans that take advantage of the wide reach and influence of the World Wide Web. Search engine optimization, or SEO, ensures that a firm has a strong ranking in search engine results. Website design services are offered to help firms build sites that look terrific while conveying pertinent information. Pay Per Click management helps to generate immediate traffic, while content development services help firms ensure that they are always providing new and compelling messages. Blogging and social media marketing services work hand-in-hand to promote law firms using well known and popular Internet platforms. Local SEO services help firms ensure that they are visible when potential clients search using maps and other location-based methods. Finally, branding services help firms establish strong, distinctive identities. Attorney Rankings offers its services to firms throughout the country, and its services are available immediately. There is a clear need for better Internet marketing within the legal community, and Attorney Rankings can provide excellent services specifically for attorneys. Legal professionals need to take advantage of the best Internet marketing practices if they wish to remain viable in today's marketplace. The Attorney Rankings team consists of experts in the field of Internet promotion, and they consult with law firms directly to build comprehensive and unique plans designed to extend a firm's reach and make it a top choice for potential clients. The company's extensive capabilities can offer new advantages, and they allow legal professionals to focus on their primary responsibilities. – Richard Stevens - Military Defense Law Offices of Richard V. Stevens, P.C. Marketing and promotion are essential elements for the success of any business, but many law firms lack the tools and expertise needed to promote themselves effectively online. Attorney Rankings was founded to help law firms establish stronger online identities through a number of essential, modern services. With the help of Attorney Rankings, law firms can move forward with unique, web-based marketing plans that help them become much more visible and viable in today's business world.